Spend the 14th (Sun) exploring the collection at Museum Island. 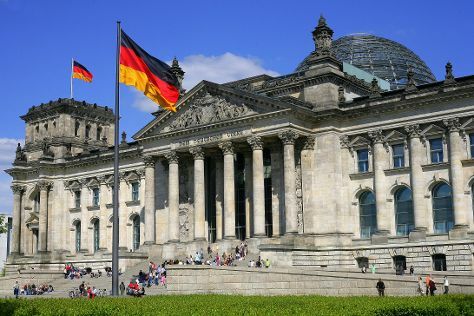 There's much more to do - see the interesting displays at Pergamonmuseum, contemplate the long history of East Side Gallery, meet the residents at Zoo Berlin, and admire the landmark architecture of Reichstag Building. To get more things to do, photos, maps and more tourist information, read our Berlin travel guide. Use the Route module to find suitable travel options from Brooklyn, USA to Berlin. Traveling from Brooklyn to Berlin, you'll lose 6 hours due to the time zone difference. Traveling from Brooklyn in August, things will get slightly colder in Berlin: highs are around 75°F and lows about 58°F. Finish your sightseeing early on 19th (Fri) so you can travel back home.